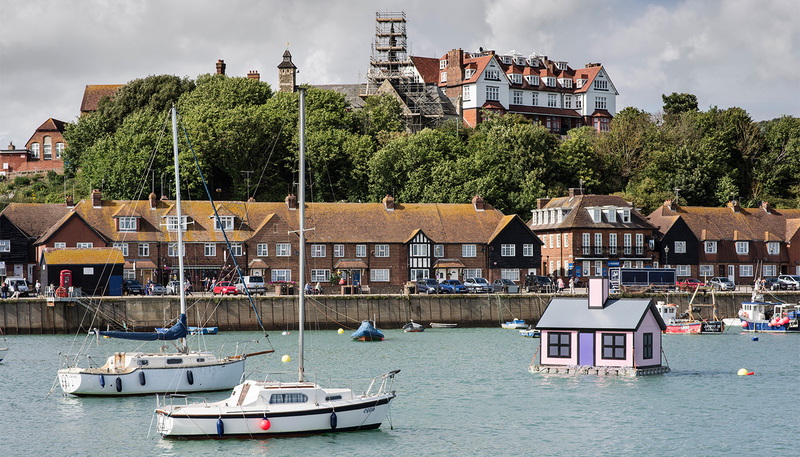 While local government or large employers might gain from promoting a town as ‘a good place to live’, this is often left to housing developers and estate agents – for instance, in advertisements for holiday homes. While the media and construction industries constantly suggest there is a ‘housing crisis’ (so increasing the price of land and housing), the booming market in ‘second homes’ represents a crisis not of housing supply but of economic inequality. Many people have two homes whilst many others can’t afford one. 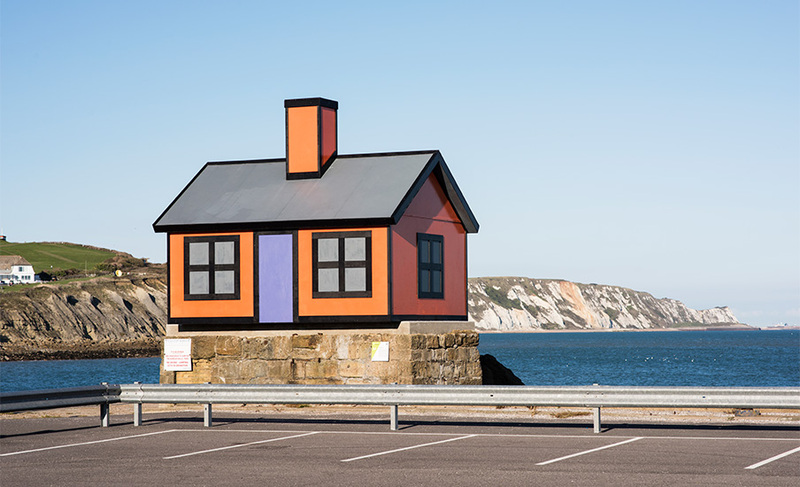 Richard Woods’ Holiday Home commissioned for the 2017 Triennial, consisted of six one-third size ‘homes’, identical except in their colourways. These were installed in ‘unlikely’ places – suggesting that no site is too small, too unlikely, or too inconvenient for its neighbours, for a holiday home. The remaining examples keep to the same rule of thumb.